How Do I Care for Short Frizzy Hair? 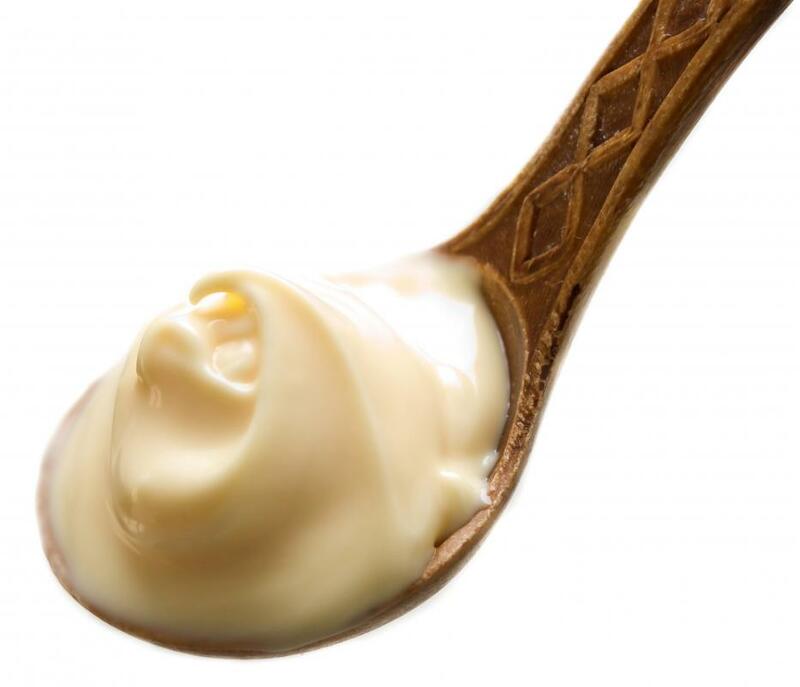 Mayonnaise can be used to add moisture and shine to the hair. A leave-in conditioner that is applied after getting out of the shower can combat frizz. When short frizzy hair is cared for properly, it can become sleek, shiny, and much easier to manage. It is a multi-step process that begins in the shower with choosing moisturizing shampoo and conditioner that is designed to care for frizzy hair. Gently towel-drying, applying leave-in conditioner, and other smoothing products, and then blow-drying on a low heat setting can also help to calm short frizzy hair. In addition, regularly treating the hair with a leave-in hair mask -- even one that is homemade -- can really help to reduce frizz and improve the overall condition of the hair so that it is easier to manage. Many people incorrectly assume that the type of shampoo and conditioner used to clean the hair does not matter. This is untrue, especially for people with short frizzy hair, which requires a little extra care. Choosing a rich, moisturizing shampoo and conditioner will help to keep the hair clean and soft, making it easier to style. Simply using a clarifying shampoo once a week can remove buildup caused by any styling products, but using a clarifying or harsh shampoo every day will dry out short frizzy hair. The way you dry short frizzy hair is extremely important. For instance, don't jump out of the shower and then immediately rub a towel all over the head; this will actually increase frizz. Instead, gently wrap the hair in the towel and squeeze out excess moisture. Then, apply styling products and leave-in treatments as needed. A nice leave-in conditioner can help to calm frizz, and a styling product can smooth the hair and protect it from damage from heat styling. Blow-drying the hair with a dryer used on the lowest heat setting, aimed down the hair shaft, will also prevent frizz and help to create a lasting style. Aside from this daily care of short frizzy hair, using a hair mask once every week or two can really help to improve the hair's condition. This can be homemade or purchased in stores, and wrapping a towel, or even some plastic wrap, around the hair after applying the mask can help to generate heat and encourage it to soak into the hair. Natural products such as honey, olive oil, or mayonnaise can all be combined to create hair masks that are extremely conditioning, especially when blended with avocado. There are dozens of recipes found online for making hair masks with common kitchen items. How Do I Deal with Curly Frizzy Hair? How Do I Choose the Best Hair Serum for Frizzy Hair? What Are the Best Tips for after Hair Straightening? How do I get Rid of Dry, Frizzy Hair?